Is Your Compost Tumbler Too Wet? →Is Your Compost Tumbler Too Wet? One of the complications of composting is wet compost. This can be a big problem not only because it slows down the composting process, but it also produces a foul odor. There are three causes of a very wet compost: poor air flow, excess moisture, or not enough nitrogen-rich ingredients in the compost pile. A too wet compost pile can be the result of too many ingredients that clump together when wet, such as grass clippings, whole leaves, and hay. These materials can become so thick that the middle part of the compost pile receives no oxygen. If you don’t turn your pile in the tumbler often enough or if rain is able to get into the tumbler, then you are bound to get a wet compost pile. Here are a few ways to fix a compost pile that is too wet. Rain is usually not a huge factor that contributes to the over wetness of a compost pile in a compost tumbler because tumblers have a designed to be enclosed. Heavy rains may cause water to get into the tumbler. The moisture level will vary depending on the kind of materials you load in the tumbler. If the compost pile is too wet, this will produce a foul odor. This is a related problem that must be resolved quickly. One remedy is to add some brown materials, like sawdust, dry leaves, or shredded paper. You can also open the lid to let more air in to dry the wet contents. You can solve the problem of an overly wet compost pile by accomplishing the right moisture level. The proper moisture level is obtained by moistening the pile without turning it soggy or getting it too wet. Most experienced composters suggest that you only add moisture to the pile if it is as moist as a damp sponge. This condition indicates that the pile is too dry. If there is water when you squeeze the pile, then it is absolutely too wet. The pile has achieved the right moisture level if it remains compacted but doesn’t release any water when you squeeze it. 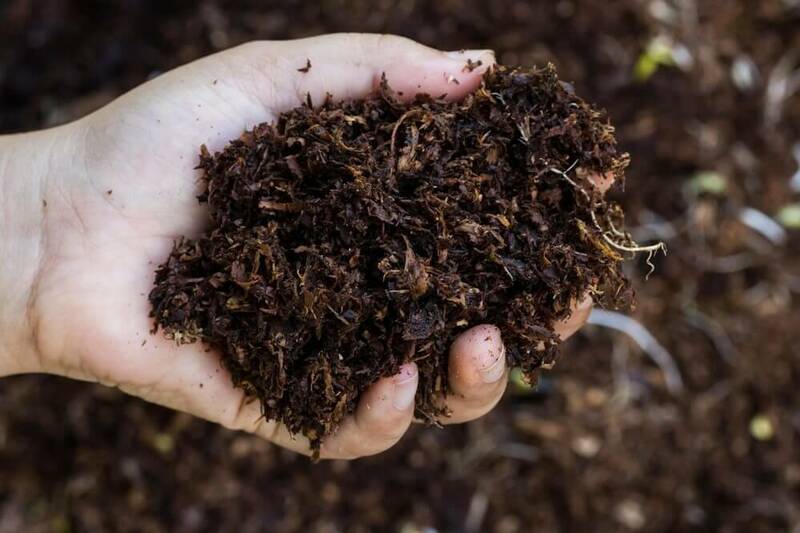 Brown materials can effectively absorb excess moisture from your compost pile. It also helps maintain the proper C:N ratio for a faster composting rate. A 3:1 proportion of carbon to nitrogen materials must be maintained. That means that three portions of carbon-rich materials neutralize every one portion of nitrogen-rich materials. Such a ratio must be maintained because a compost tumbler is fully enclosed which means there is less of a chance for evaporation. Too much green material, like kitchen scraps, can increase the level of moisture because they have high water contents. This brown material has a high carbon content. Sawdust is a great agent that enhances the aeration process. Therefore, it can dry out wet compost very fast. If you are considering using this material, avoid using sawdust from wood that has been treated with chemicals and oils because they will impeded decomposition. To promote aeration, place them in layers. This brown ingredient enhances the aeration process very efficiently. Just make sure that you use straw without seeds because seeds don’t decompose. Fall leaves. If you collect leaves during the fall, they can be used during the winter. Leaves are a good choice when you need absorb excess moisture in the compost pile. Before adding them, be sure to shred them well for faster decomposition. You can use most types of leaves but avoid oak, walnut, and waxy leaves because they are detriments to the composting process. Compost tumblers are designed with an easy turning feature. With just a spin of its axle, you can be certain that all ingredients are aerated well. Each time you add brown materials into the tumbler, simply give it a spin. The rotation of the compost pile inside the tumbler promotes better airflow which further enhances the evaporation of excess moisture in the pile. To avoid the buildup of moisture inside the barrel, you should turn the pile once every three to four days. As it reaches maturity, the compost will require turning less often. Turning the compost is necessary to let the flow of oxygen enter into the mix especially if you use higher nitrogen proportions. By turning the pile regularly, you can avoid having a matted compost pile that can block the air pockets in the tumbler and discourage the flow of oxygen. Therefore, frequent turning is one strategy of avoiding a too wet pile. The most recommended type of compost tumbler is a horizontal tumbler because it has a crank that makes the turning process much easier. The crank is a great help especially if the barrel is filled almost to its maximum capacity. If you have back or shoulder pain, turning tumblers may be quite difficult. In this case, you should consider a smaller compost tumbler or one that has rollers on its base. If you swing the tumbler back and forth before you spin it, spinning it will be easier. Another way of drying the wet contents of a compost pile is to remove the lid and let the sun or air dry it out. Wet compost is a common problem in humid areas. As the temperature changes between day and night, excess moisture tends to build up. If you think the compost pile is too wet, you can open the lid to dry out the contents. Angle the opening of the tumbler to a position that can be easily reached by the sun to speed up the drying process. If you don’t want to open the lid, you can open the vent holes to promote better airflow inside. 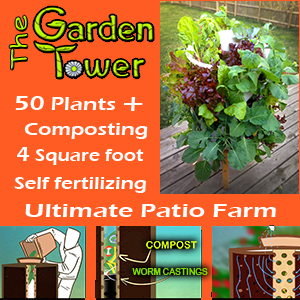 You can always have a look at Lifetime Compost Tumbler with these features.